by	Plitvice Times	8. April 2019. 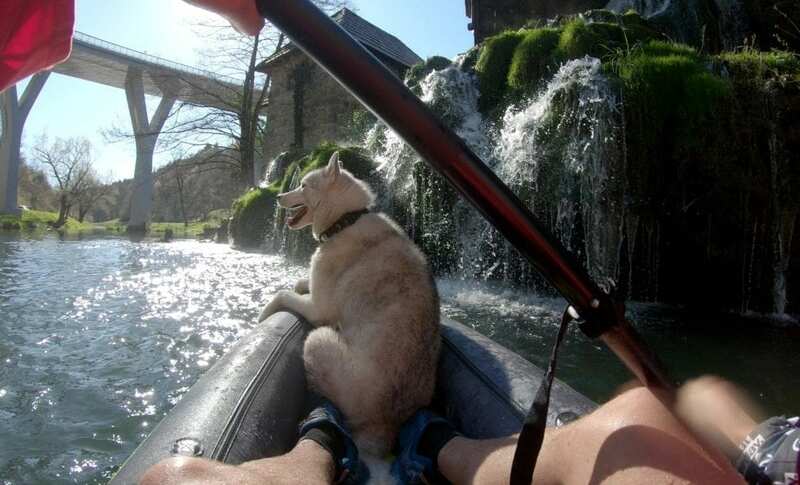 The unbreakable Outdoors Croatia duo – Ante Tonči Fabris and his beloved Mishka are back! We all know their super famous winter video from Plitvice Lakes, and now they are back in the neighbourhood! This time their adventure is placed in Slunj where they were rowing down the river Korana on a sunny day. Enjoy in another fantastic video, and make sure to follow them because you never know what is their next super attractive adventure!